A report by the Vera Institute of Justice provides a fresh take on incarceration trends, asserting that the “old standard” of using state prison population to assess mass incarceration has become ineffective and misleading. The report states that, in order to gauge the impact of justice reform, it is necessary to explore the complex relationship between local jails and state prisons by assessing an array of indicators including jail admissions, pretrial jail population, sentenced jail population, and prison admissions. 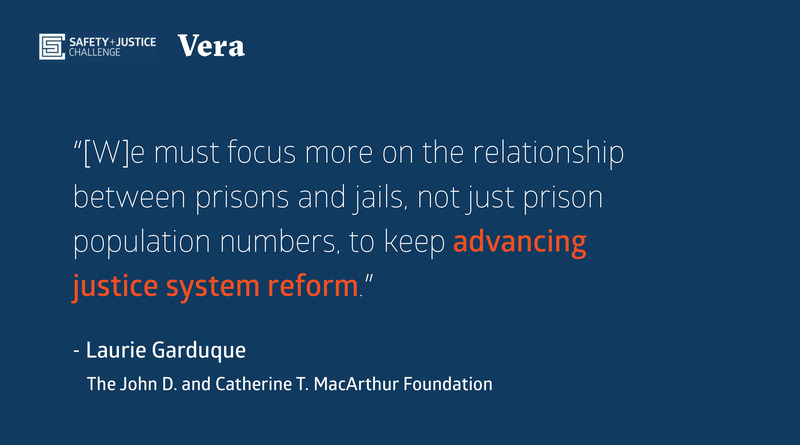 The report, supported by MacArthur’s Safety and Justice Challenge, finds that many jurisdictions have enacted reforms to reduce incarceration in one part of the system but not another, failing to look at the big picture by taking both prisons and jails into account.